Many of the files listed below are in compressed format and will need to be unpacked with an archiving program, we recommend 7-Zip which is completely free and can be downloaded from here. Although no longer required as a separate download for any of our own routes, the following assets may be required by various user created routes. The following items are older files which are now discontinued, however, they may be referenced by third party creations and were originally hosted in UKTrainsim. The UKTS file number is written alongside in order to help identify which files are needed. Tunnel occlusion modules were introduced in later incarnations of Train Simulator. 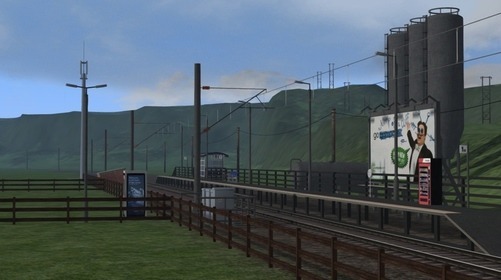 These scenery items allow a route builder (or modder) to add occlusions to any model or part of a Train Simulator route. These occlusions basically block any rain or light coming into the occlusion. They may be fine tuned, and specifically the amount of light inside the occlusion can be changed from being totally dark, to totally light. What this means is that placing one in a tunnel allows the tunnel to become as dark as the person wants, with a variable fade in and out as a train enters or leaves the tunnel. It also makes other trains in the tunnel appear properly (not glowing). Please take note of the included readme in each file for installation instructions.